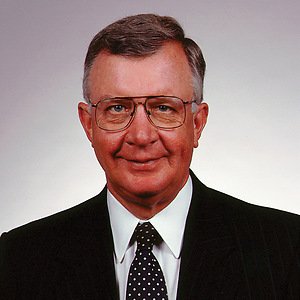 Robert K. Payson, a retired Potter Anderson partner, concentrated his practice in the area of corporate litigation, particularly in the Delaware Court of Chancery and the Delaware Supreme Court. He advised boards of directors of Delaware corporations and committees thereof with respect to the Delaware General Corporation Law, mergers and acquisitions, and class and derivative litigation. Among the more important corporate cases in which Bob has been lead or Delaware lead counsel are: Gimbel v. Signal Cos., Del., 316 A.2d 619 (1974); Zapata Corp. v. Maldonado, Del., 430 A.2d 779 (1981); Weinberger v. UOP, Inc., Del., 457 A.2d 701 (1983); Smith v. Van Gorkom, Del., 488 A.2d 858 (1985); Cede & Co. v. Technicolor, Inc., Del., 542 A.2d 1182 (1988); Del., 634 A.2d 345 (1993); Del., 684 A.2d 289 (1996); Mills Acquisition Co. v. MacMillan, Inc., Del., 559 A.2d 1261 (1989); Malone v. Brincat, Del., 722 A.2d 5 (1998); In re Digex Inc. Shareholders Litigation, 789 A.2d 1176 (Del. Ch., Dec 13, 2000) (NO. CIV.A. 18336); In re Siliconix Inc. Shareholders Litigation, 2001 WL 716787 (Del.Ch., Jun 21, 2001) (NO. CIV.A. 18700); Hewlett v. Hewlett-Packard Co., 2002 WL 818091 (Del.Ch., Apr 30, 2002) (NO. CIV.A. 19513-NC); In re Pure Resources, Inc., --- A.2d ----, 2002 WL 31300797 (Del.Ch., Oct 7, 2002) (NO. C.A. 19876); Tooley v. Donaldson, Lufkin & Jenrette, Inc., 845 A.2d 1031 (Del. 2004); Cede & Co. v. Technicolor, Inc., 884 A.2d 26 (Del. 2005); In re: Walt Disney Co. Derivative Litigation, 2005 WL 2056651 (Del. Ch 2005).